Little change from the summer norm. 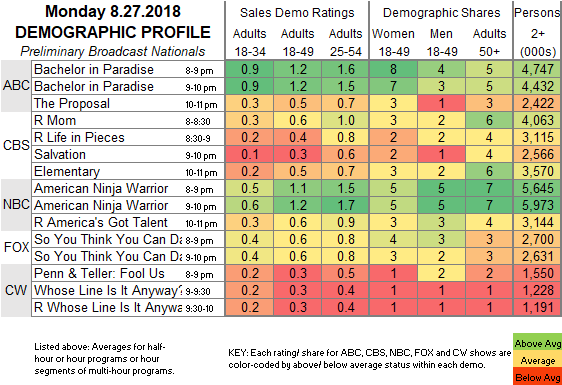 ABC: BACHELOR IN PARADISE slipped 0.1 to 1.2, and the season finale of THE PROPOSAL was steady at 0.5. CBS: After reruns at 0.6/0.4, SALVATION stayed at 0.3, and ELEMENTARY was up 9,1 to 0.5. 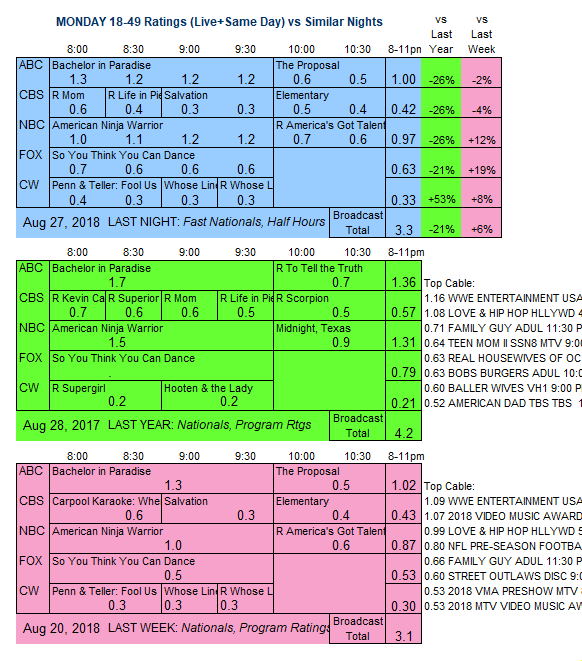 NBC: AMERICAN NINJA WARRIOR gained 0.1 to 1.1, followed by an AMERICA’S GOT TALENT rerun at 0.6. FOX: SO YOU THINK YOU CAN DANCE was up 0.1 to 0.6. TV Land has the season finale of YOUNGER tonight, and OWN airs the first night of its 2-night season premiere of GREENLEAF.